The mornings were evil. That was a known fact. Mornings before coffee however were their own private little section of hell. Unfortunately for Maya she sucked at making coffee, or coffee worth drinking at any rate, so when the morning clamor of the city rudely pulled her from her sleep earlier that morning it was a thoroughly more miserable experience than usual. Of course the bruises on her ribs probably didn’t help either now that she thought about it. She’d been jumping down onto a balcony the night before and had slipped on a freaking puddle. She’d been lucky she managed to grab the railing. Not so lucky she managed to avoid smashing into it as her feet had slipped out from under her unfortunately. Her sour expression as she remembered the incident faded as she grabbed the Styrofoam cup in front of her and took a long appreciative sip. She set the cup back on the table next to her folded cane and a second identical cup. Her eyes darted behind the blackened lenses of her sunglasses as she looked around at the crowd. The shop hadn’t been particularly busy when she’d first showed up but the early and pre-rushhour traffic was out now and the cafe was all but full up. The the opposite seat of her booth remained conspicuously empty. She knew she’d gotten more than a few stares, god knew people seemed to stare a lot more when they weren’t worried about getting caught, but so far no one had gathered up the courage to try to take the seat opposite her. The stares didn’t bother her now. Not like they used too. Still it was hard not to react to them. She probably would have done the same in their place. Her coat sat bundled beneath her where she’d put it to escape the unreasonable warmth that’d accompanied the sea of bodies into the coffee shop, and she was regretting choosing the winter leggings and long sleeve shirt she’d wore beneath it. Not just because of the heat either. People were often put off by her glasses, or her cane, but she’d found very few people could look her empty left sleeve and manage more than a couple of sentences before suddenly realizing they had somewhere else to be. It had made her uncomfortable at first. Honestly it still did more often than she would admit. This morning however she welcomed the solitude enough that she didn’t really mind. After all she’d paid an arm for it, she might as well enjoy it she thought to herself with a grim smile. She reached for her cup once more and struggled not to stiffen as someone walked from the counter straight towards her booth as if pulled their by her thoughts. She kept her face blank and slowly sipped her coffee as she watched the woman approach her. That was more difficult than usual though. The woman burned with a brilliant golden aura similar to her own. Compared to the dull aura’s of the other sleep hazed patrons made her blaze like a sun. Somehow Maya didn’t think it was just because she was a morning person. The woman was a mage. Or something else. Maya continued to sip her coffee and pretended to be oblivious to the woman that was walking straight at her, ignoring a tightness in her chest that had nothing to do with her bruised ribs…. There were other places anyone would prefer to be on this cold morning. Crowded into a coffee shop hoping to find a seat just to avoid having to step foot back out the door was not one of them. Even for coffee. Caffeine might be a necessity in Cassandra’s day-to-day existence -- both as a Greene and an ARMA member -- though even this place wasn’t worth dragging herself out into these freezing temps at such an abysmal hour. In comparison to the coffee at home this place was swill. Plus it meant still being at home either still abed or sitting on the study floor reading a book with her head resting against Alec’s legs while he read in his favorite chair. Enjoying the warmth of the fire and the occasional play of his fingers in her hair instead of being jostled around by cranky coffee-junkies - pot, kettle right? Unfortunately, work occasionally called at such atrocious hours and Alec was still out of town on ARMA assignment. That meant standing in a too long line at a register near the door and suffering the sensation of a chill breeze each time the door opened. Gloved hands were shoved into her pocket while the lower half of her face burrowed more deeply into the excessively thick scarf around her neck. Getting coffee at work was possible, but lately it was hard to use the machine built by her brother given that he still hadn’t been found nor had they found any clues. Hope was all there was to be had at this point and it was dwindling. If it wasn’t for Alec and ARMA she’d probably have fallen apart by now. Finally it was her turn, the young man behind the counter eyeballed the ARMA badge resting near her diaphragm. She suppressed the urge to roll her eyes at the uneasiness written all over his face. Probably either a veil crosser or altered individual that had it in their head ARMA was out to make their life miserable just for being different. ARMA was doing more work these days to change public perception, but they had a lot of progress to make yet as far as winning hearts and minds. Once given it only took moments for them to get her order: hot, black coffee in the biggest size they had available. Then began the search for a seat which surprisingly didn’t take long either. A person would have to be completely oblivious not to notice the woman with one arm that everyone was avoiding. Cassandra on the other hand? Didn’t care even a little at the moment as long as a seat was available. Without hesitation, she made her approach. “Excuse me, do you mind if I sit with you?" It crossed Cassandra’s mind that the last time someone sat with her at a coffee shop it’d ended up being a magus serial killer. What she could tell of the young woman without being intrusive was that she had a folded cane near her table and wore sunglasses indoors. She made a mental note to use caution if a conversation was started. She didn’t react for a moment, staring blankly ahead before tilting her head curiously in the womans direction. “If you mean me, then go ahead. Seems like you’re the only one willing to.” Maya said with a touch of amusement. She studied the woman, eyes darting behind her sunglasses until they fell on the badge that rested on a chain around her neck. She wasn’t sure what was more surprising. The fact someone had finally gotten up the nerve to approach her, or the fact that it was an ARMA agent who did. She managed to keep the shock off her face thankfully. She’d had a lot of practice.Internally she fought the urge to panic. The paranoid part of her brain told her this was a sting. That the life she’d managed to carve out for herself since she’d gotten out of jail was about to end. She clamped down on that and forced the logical part of her brain to stay in control. If they were coming after her this wasn’t the way they’d do it. It was too crowded. Too many people to get caught in the crossfire for them to try something here. No, if they were on to her they would have tailed her until they found her apartment and then hit it after she’d gone to bed. At least that was how she’d have done it. Less fallout that way. Fewer witnesses too. She told herself that again and again as the woman sat down across from her and by fifth or sixth time she started to believe it enough to relax. Her fingers traced the lip of the cup in front of her as she looked turned her attention towards the woman's general direction. Her lips quirked in genuine amusement as the absurdity of the situation ran through her mind. It sounded like a bad joke. 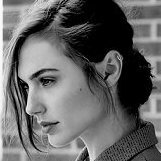 ‘An ARMA agent and a one armed thief walk into a coffee shop.’ The humor vanished as she lifted the cup to her lips, taking a deep sip as she considered the woman in front of her. She was still relatively sure this was chance, or some perverse joke of fate if you believed in it. That didn’t mean she couldn’t be a little more sure. She set the cup down with an appreciative sigh, breathing in deeply in the hopes of catching a taste of the womans aura. The taste of black coffee flashed across her taste buds as she did, lingering for a few seconds. Huh. That was different. She personally drank her coffee with copious amounts of cream and sugar, and whipped cream if she was having a bad day. She only drank it black when she didn’t have anything else and she needed something to keep her going. Or something to keep her from killing other people in the morning. Irritated? Fatigued? She wasn’t sure. Still the woman didn’t seem particularly alarmed in any case. She relaxed, but only slightly. “So what brings you out into the cold this morning?” She asked casually, as she lifted her cup to take another sip.